Simple plug & play connection via USB. In good to very good condition as seen in the pics, with a couple of marks. No HDMI cable, but these can be picked up for £1. Venom Twin Docking Station For Xbox 360 With 2 Rechargeable Power Packs. Hardly Used In Nearly New Condition. Dispatched with Royal Mail 2nd Class With £4.00 Postage Fee. XBOX 360 QUICK CHARGE KIT Great Working Condition Includes One Power Pack Free UK Delivery. 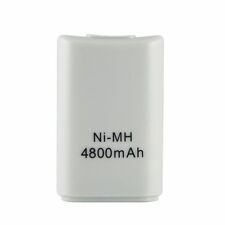 PRODUCT DETAILS: 1.Colour: White 2.Capacity: 4800 mAh 3.Brand New and High Quality. 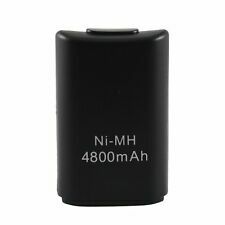 4.Rechargeable battery for your XBOX 360 wireless controller. 5.Extended your playing time, no worry on battery. 6.Charged by USB via your XBOX 360 or computer. 7.Indication light for charging. 8.Plug the charger into the AC adaptor (5V output) with USB PC socket or the XBOX 360 console. 9. Power Button Flex Ribbon Switch Eject Sync Touch Sensor for XBOX 360 Slim Was£2.86 x 1 Price:£2.04 x 1. - Compact Design：Close to the fuselage, enhances your gaming experience. - To solve problems of the power button flex Cable if not working. Xbox 360 console and power pack. 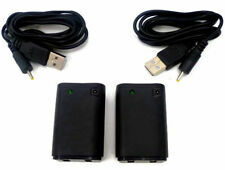 Xbox 360 console and power pack. I'm having a clear out and selling of a load of stuff that is no longer used. I've listed this a spares or repair because as i have no controller to test it. I've powered it up and it seems to come on ok but i can't guarantee it. Please note, this item has been marked and there are no returns. I say this because I've had people try and send me their non working items, claiming they were the one bought from me. The item can be collected from Morden in Surrey. XBox 360 with Powerpack, Controller, Games and Lead. Condition is Used. All sold as spares / repairs / dirty / dinged / tatty consoles. other black 360 dont work. The round discs can be used in both playsets and toy box modes.